As a business owner / boss lady, you're probably living in your inbox A LOT. The emails never end! While it's not as glamorous as photographing couples in love in exotic locations or pouring your heart out in a mentor session with a client, communicating over email is crucial. Today we're teaching you how to create a signature for your emails in Gmail, so you can look professional in your communication, but also we think it makes emails just a little more FUN! Make you look professional and build trust with your clients or customers. Make it look like you're experienced and that you've been in the game for awhile instead of just starting out. Make it look like you take yourself and your business seriously. Keep your brand and services top-of-mind to anyone receiving your emails because your name is less like to get lost in a sea of text. NOTE: Google Docs can be more easily formatted than trying to code this directly into your Gmail settings, so that's why we start here. Later, we'll paste this signature into the Gmail settings. Create a table in a Google Doc with 1 row and 2 columns. After you've created the table, edit the table settings so that any lines are transparent or set them to 0pt. Adding a photo of you is a great way to make your emails a bit more personal! You can use Canva to crop, edit or pop your photo into a shape. Here's a great FREE Canva Design Template to create a circular headshot. Include important details such as a professional title, your website, and your social media links so clients will know exactly where to find you. You can find these by searching “free social media icons” or you can create your own! To make sure that your social media icons are "clickable" to your social media platform, select the icon you want to link, select Insert > Link, and then enter in your social media URL. When you've designed your signature, head over to your Gmail inbox. 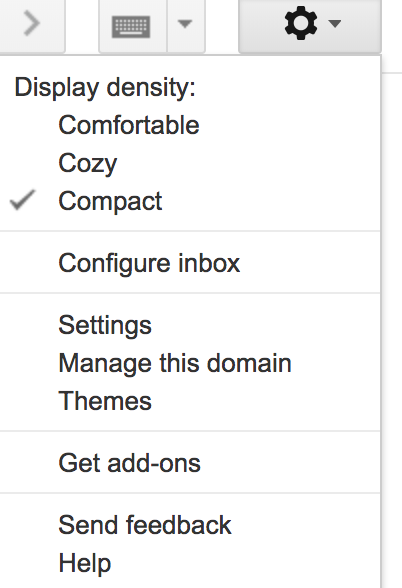 In the right hand corner, click on the gear icon and select Settings. From there, scroll down to the signature section and copy and paste the signature into the text box. Remember to click save changes at the bottom! How easy is that?! We LOVE how Gmail signatures make our email look professional and fun at the same time! Don't forget to get creative with your signature so the personality of your brand stands out in your emails!